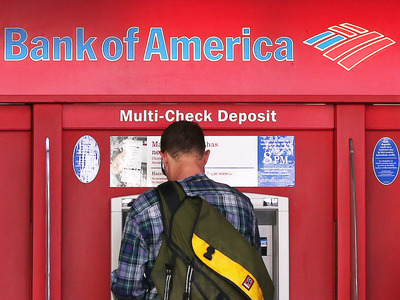 Getty Images / Justin SullivanA customer uses an ATM at a Bank of America branch office on April 17, 2013 in San Francisco, California. With the chief marketing officer’s mandate going beyond brand-building to increasingly leading business transformation, their demands from their ad agencies are changing. And agencies must reinvent themselves to meet these changing needs, says Bank of America’s chief marketing officer Meredith Verdone. Click here to read more of Business Insider’s interview with Verdone. At least two US attorneys general are investigating the Google glitch that exposed hundreds of thousands of users’ personal data. The investigation follows Google’s announcement on Monday that it would shut down the consumer version of its social network Google+ and tighten its data-sharing policies. In other Google-related news, Google launched its Pixel line of smartphones on Tuesday with a feature that “aims to end telemarketer calls for good.” “Call Screen” uses Google Assistant to answer phone calls and instantly transcribes the phone call to let you choose if you want to pick up. Toys R Us is hinting at a post-bankruptcy revival and some former employees are not happy about it. Some former employees have accused the company’s investors of profiting from the bankruptcy while failing to pay into a fund intended to help affected employees. Snapchat announced new scripted shows to win over users, reports Reuters. Snap on Wednesday announced new scripted shows and has struck partnerships with Hollywood production companies and writers in hopes of reversing its decline in users. Department-store operator Bon-Ton Stores Inc. is seeking to join a nationwide lawsuit accusing large media companies of conspiring to drive up local television advertising prices, reports the Wall Street Journal. More than a dozen lawsuits have been filed by firms, including New York personal-injury lawyers Cellino & Barnes, seeking damages from media companies like Sinclair Broadcast Group Inc., Tribune Media Co. , and Hearst Television Inc.